US Military Rings designed for bravery, commitment and loyalty. There are many specialized units in the United States military that required special rings. While most people can name a half a dozen or so even if they haven’t served in the military, there are actually hundreds of these specialized units. The Navy Seals, the Army’s 82nd Airborne, the Marine Snipers, and the Air Force Paratroopers are well known specialized units. Many of these units are so specialized that seventy to eighty percent of all who start the training do not finish. It really takes a unique person to be a part of such a close knit group of military members. Recognizing this service, dedication, and sacrifice is something that isn’t taken lightly. For those that serve in these units, U. S. military rings are the perfect way to do just that. U.S. military rings have a long, proud history. 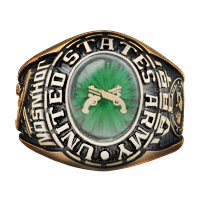 The first rings were given to graduates of the United States Military Academy in 1835. Since that time virtually every military academy graduate has had a ring symbolizing their hard work and dedication. 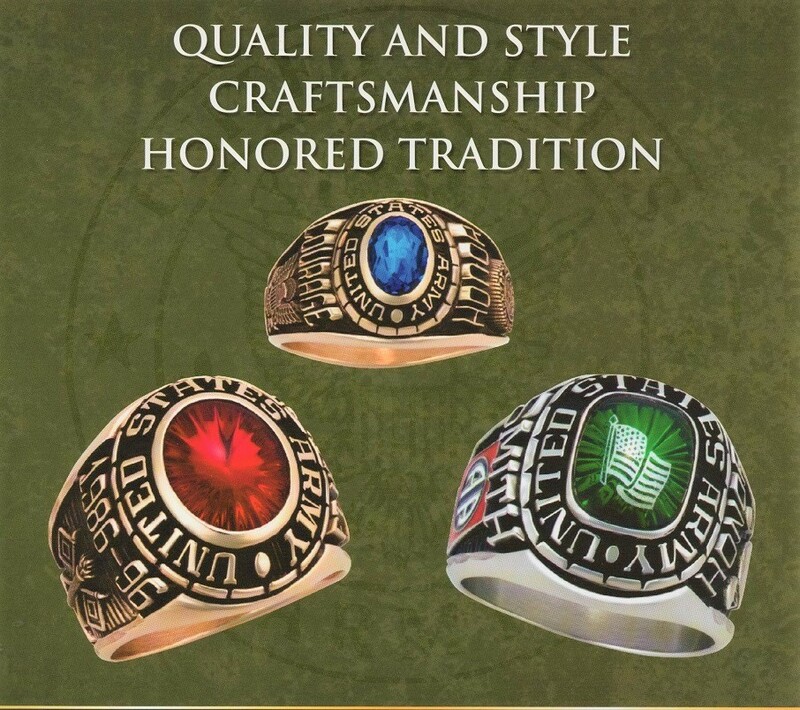 Most of the rings are ordered during the second or third year and the class spends a great deal of time working on the perfect design. However, military rings are not just for graduations or even graduations from specialized training. Many military members order their military ring to recognize other important achievements in their careers. This might include a promotion, retirement, or a deployment on a military campaign. Specialized units are often the first ones into a conflict and they deserve recognition for these dangerous missions. One of the most important aspects to us military rings are the emblems and insignia that decorate the sides of the ring or underneath the stone on top. Many will design their ring with the branch emblem on the top and the unit insignia on one side. The other side is often used to recognize a specific type of aircraft, ship, or submarine on the other. It might also have the insignia of a military campaign, such as Operation Iraqi Freedom or Enduring Freedom. Soldiers wear their custom military rings to display unity and pride in the service. Some of the units in the military are so highly specialized that they are considered ‘top secret.’ And many of these units have a specific way that their presence in this unit is identified, but the unit member will know what is and isn’t allowed on a ring. If you are ordering the ring as a gift, you might want to speak with your loved one about what they want on the ring. It might ruin the surprise, but you want to make sure it’s a design that they will love.